Discussion in 'Boss 302 and S197 Technical Forum' started by Double0Fox, Jan 26, 2019. On my way from work yesterday, and getting off on a off ramp, and all of a sudden the car veered to the right. Didn't loose control, but moved over about 10 feet. Babied the car home, and this is what I found. I put these struts on in Aug of last year. No tracking, or accidents/Potholes. Not even any real aggressive driving. 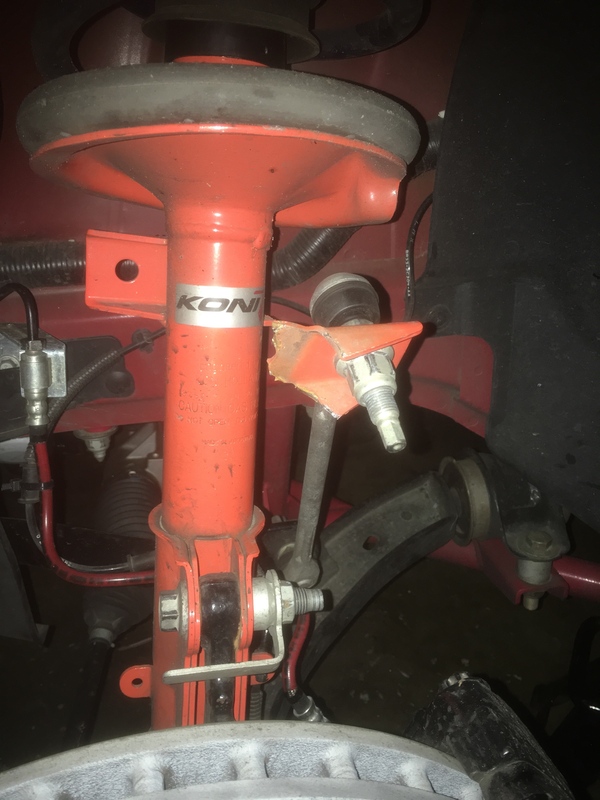 I have had alot of Koni products before without ever a issue. 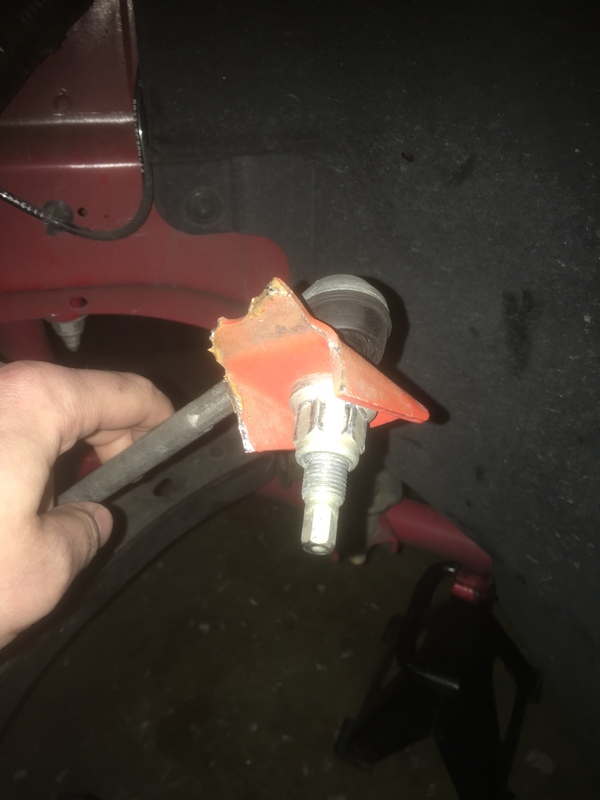 Looks like the ear was missing some welding, and was only welded at three points. I admit I didn't notice the lack of welds when I installed them. Ordered a full set of Koni Yellows, and will check them over real well when they get here. Grant 302, Mad Hatter and VoodooBoss like this. Great news that it didn't result in an off road excursion. Looking at the break there appears to be some rust. May have previously stressed/cracked, then finally let go. Common occurrence on our New England roads. Grant 302 and VoodooBoss like this. I'm glad it didn't result in a serious accident. Were they new when you installed them? Yes they were new. Same here, keep telling myself it could have been much worse. In all honesty I felt like the STR's were a little "bouncy". Hope the Yellows are not that way. Sounds like you should at least get a free replacement. Check with the retailer and then directly with Koni. Oranges are like Yellows on full soft. You should be able to tune out any under-damped issues with the rebound adjustment on the yellows. Glad there wasn't any injuries as a result. 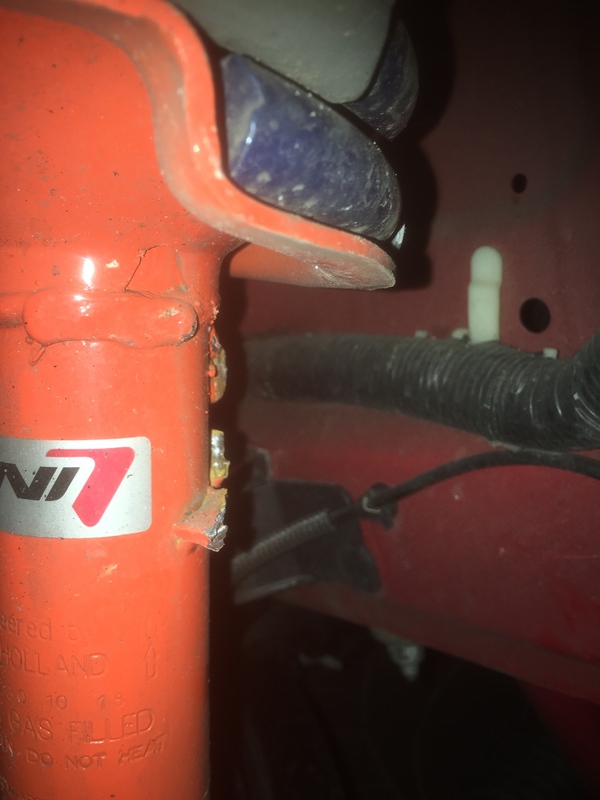 IIRC, Koni had endlink bracket problems early-on with the S197 struts. Waiting for the fix getting into and through the supply pipeline took nearly a year. That was back about 2009. I'm now on a second set of yellows, not due to anything like breakage. I'm sure yours was a case of a single strut or maybe a small batch sneaking past QC.